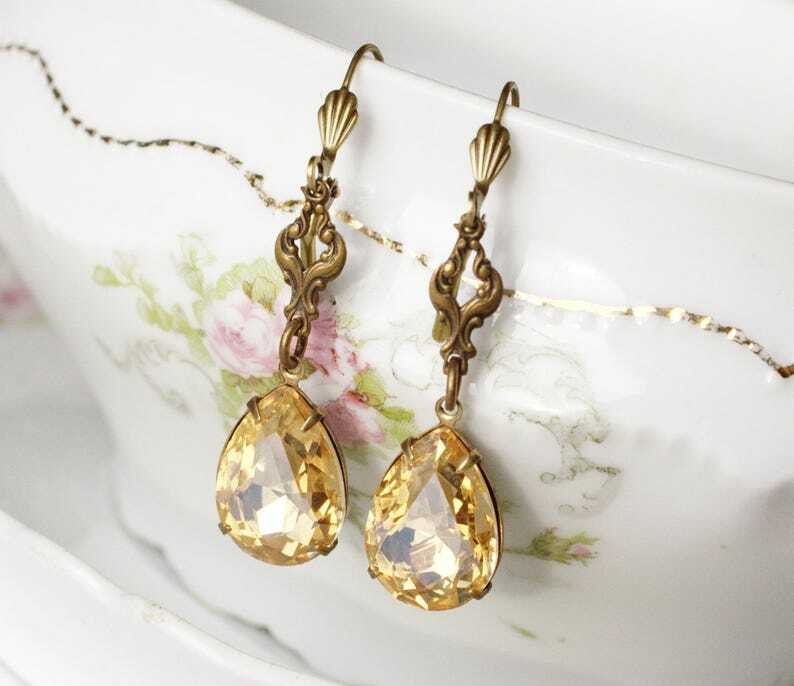 Vintage style pear champagne crystal jewel bridal earrings. 18x13 (3/4 inch tall) crystal pear jewels. Lever back ear wires contain no nickel. About 2 inches (52mm) long. Crystals look great almost a little pink to them. Absolutely beautiful earrings; I have received numberous compliments.